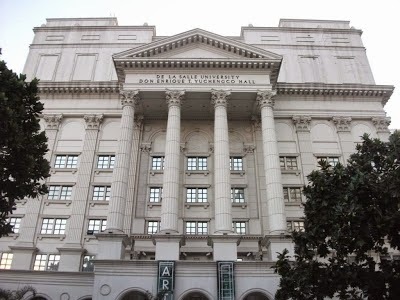 MANILA, Philippines - The De La Salle University (DLSU) College Entrance Test (DLSUCET) or DLSU College Admission Test (DCAT) results for academic year AY 2015-2016 are officially released on Saturday, December 20, 2014. Results page (to include list of passers) is now available online. December 20, 2014 Update: DLSU announced that DCAT results are now out online. "We are pleased to announce that the official results of the DLSU College Admissions Test for incoming freshman applicants of AY 2015-2016 are now available at Freshman Admissions Test Results AY 2015-2016. The reference number and complete name of the freshman applicant will be required to access the official DCAT results. For concerns and inquiries, please send an email to admissions@dlsu.edu.ph. Thank you." The examination was administered by the Office of Admissions on October 5-12, 2014 in DLSU-Manila and external testing centers. Aside from online availability of results, the college entrance test results (DCAT) will be available also at the Henry Sy Sr. Hall at DLSU same for AY 2014-2015. DLSU provides Applicant Inquiry Form and from this you have to search your name if included in the list of DCAT passers. In the same day, procedure and requirements for FRESHMAN Confirmation will be announced. Details will be updated on this webpage.